We know that Isaac Asimov was born Isaak Yudovich Osimov, in Russia, but we don't know exactly when. He was a scientist, trained in biochemistry, but became famous from his writing. Although he wrote nonfiction, including papers and books on science, it was his hard science fiction that made him famous. He is known as one of the Big Three--Arthur C. Clarke and Robert A. Heinlein being the other two--during the Golden Age of Science Fiction. Nightfall is considered his best short story. The poor man never knew his real birthday, but celebrated it on January 2, his birth date being estimated between October 4, 1919, and January 2, 1920. 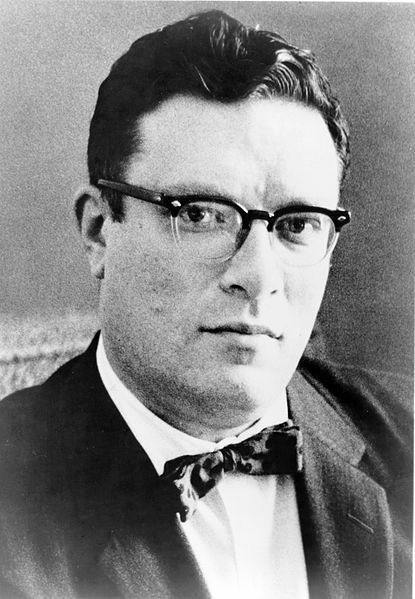 A crater on Mars, Asimov, is named after him. Here is his Wiki Page. Here are books about and by him. Source articles: Wikipedia, and IMDb. Yes! I guess him right! He also wrote a great series of physics books - which explained without the rigors of mathematics.